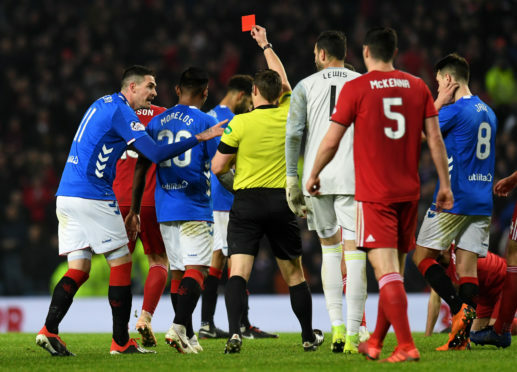 Aberdeen could face Rangers again in the Scottish Cup. Aberdeen will face either Kilmarnock or Rangers in the last eight of the Scottish Cup. The Dons, who conquered Queen of the South 4-1 on Sunday, will find out their opponents when the Gers host Killie at Rugby Park next week. The winners of the Caley Thistle-Ross County replay on February 19 will face a trip to Tannadice in the last eight. The two sides played out a pulsating 2-2 draw in Dingwall on Monday night. The quarter-final ties will be played on the opening weekend of March. Partick Thistle entertain Hearts at Firhill and Hibernian take on Celtic in the other ties.